Are you, or your company in need of high quality first aid training? Require excellent training to fully equip colleagues in the workplace? If so MHA Training Ltd Is here to help. 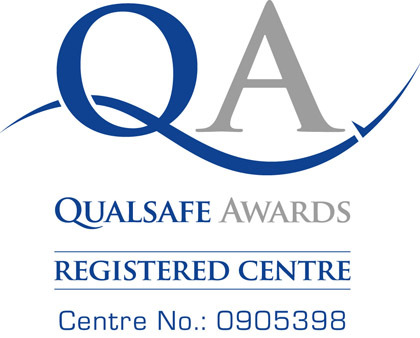 MHA Training is approved by Qualsafe Awards, an Awarding Organisation recognised by Ofqual. This means we can offer regulated Qualifications in first aid training courses. All of our courses are aimed to help employers to comply with the Health & Safety (First Aid) Regulations. Who requires First Aid Training. A knowledge of basic first aid can make the difference between life and death. Studies have shown that effective first aid can be vital in the first few minutes after an emergency. There are plenty of success stories in the media about first aid training saving lives as it’s such an important life skill. A first aid qualification can help your resume, C.V, or even open up job opportunities. There may be opportunities to volunteer using your first aid skills. It has been a vital life skill that people have used for members of their own family not just in the workplace. The 3 main goals of first aid training are to preserve life, prevent worsening and promote recovery. You never know when the need will arise to put these skills to use. The First Aid Training experience. We believe that a First Aid training course should be an interactive fun learning experience, not all chalk and talk. We achieve this by using fully qualified trainers/assessors, who are very experienced “hands on” first aid professionals. Sympathetic to the needs of the individual trainee and getting the best possible standard from the delegates. Become an accredited First Aider – 3 day course. Suitable for staff who work in lower hazard environments – 1 day course. First Aid at Work Re-qualification. For those with an existing First Aid at Work accreditation – 2 days. First Aid Training Information Downloads. Please click on the Download buttons below to get all information on the relevant first aid training courses. HSE First Aid at Work – IMPORTANT! After 1st October 2013 the HSE is no longer responsible for approving providers of First Aid at Work courses. Providers must be approved by an Ofqual or SQA Awarding Body. MHA Training Ltd fully meets all of the new requirements. MHA Training was established in 2008 based at our training centre in Warrington, Cheshire. We provide an array of services On-Site also for clients around the North West in areas such as Manchester, Liverpool, Widnes, St Helens, Runcorn, Wigan, Preston and Leeds. Over the years we have expanded and have instructors available Nationwide. Click here to enquire about our Courses. We are a Qualsafe Awards registered training centre offering you the assurance that we provide quality first aid training. Delivered by trainers who are monitored, assessed and regularly updated to ensure that you are receiving the most up to date training available.